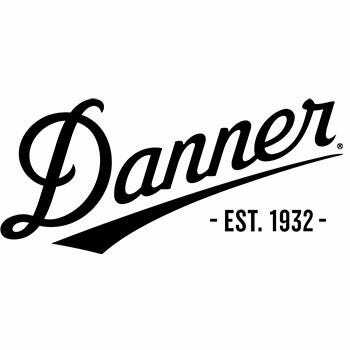 These traditional Danner Men's 17305 Brown Quarry USA-Made 8" Waterproof Boots are great—always have been, always will be. And we know that they will be great for you, too! We know that you want warm, dry feet while out on the job, and these Danner boots are ... (see full details) (see specifications) #DNN17305. These traditional Danner Men's 17305 Brown Quarry USA-Made 8" Waterproof Boots are great—always have been, always will be. And we know that they will be great for you, too! We know that you want warm, dry feet while out on the job, and these Danner boots are made with 100% waterproof and breathable GORE-TEX® lining. Additionally, a full-grain, all leather upper provides a classic design with superior protection for you. You're feet will stay dry the entire day when you wear these American-Made boots. The hand-crafted stitch-down construction of these brown boots provides a wider platform, which provides more stability underfoot. Rugged hardware makes for a secure fit and long-lasting performance. A triple stitching provides superior endurance when you wear these USA-Made boots. Need more? Well, the new exclusive Vibram® Quarry outsole features a 90 degree heel, oil- and slip-resistant rubber compound, and non-linear lug pattern for superior traction and debris release. No more slipping! And with the fiberglass shank, you'll be even sturdier on your feet. Sometimes it’s out with the old, in with the new. But with these Danner Men's 17305 Brown Quarry USA-Made 8" Waterproof Boots, it’s out with the old and in with the old classics! You can get yourself a pair right now. Just put them in your cart today! Danner Boots: Men's 17305 Brown Quarry USA Made Waterproof Boots is being added to your cart.